Demolition begins on the former Arriva bus depot. Work has started on the demolition of the former bus depot in Ashington as part of the new £74m investment plan for the town. Arch, The Northumberland Development Company is leading the delivery of the development and regeneration of a ten-year programme that will invest around £74m and bring more than 1,000 high-quality jobs to the heart of Ashington, transforming the town centre’s physical environment. The Investment Plan will facilitate the physical elements of Northumberland County Council’s wider vision for a healthier and more prosperous Ashington through economic regeneration and the attraction of wider public and private sector investment. The works will take 6 weeks over the summer and incorporate the demolition of Arriva bus depot, former Miller Motors, Glendale Motors, 4Paws, ATS and 1 and 2 Lintonville Cottages. The development of the new £21m Leisure Centre was the catalyst of the plan and forms part of the overall renewal of Ashington town centre. The contemporary Leisure Centre is funded by Northumberland County Council with support from Sport England through a contribution of £1m of National Lottery funding. It is on track to be completed on time, on budget and to open to the public in November 2015. 400,000 visitors per year are projected, many of whom will be new potential customers for the wider town. 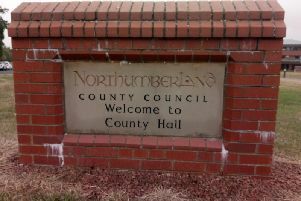 Coun Dave Ledger, Deputy Leader of Northumberland County Council and Chair of Arch said: “We want to have a prosperous county with sustainable economic growth – one where businesses can thrive and people have access to high quality jobs. “Today’s demolition in Ashington is a major step for the area, and we are excited to see the plans turn into reality.